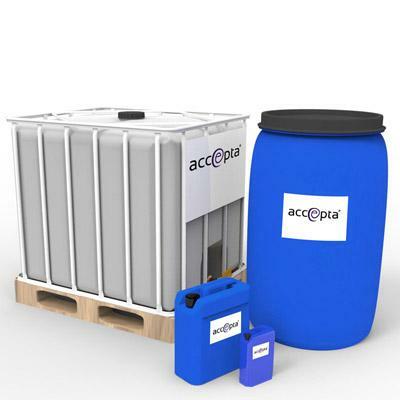 Accepta 0016 is a high-performance cooling water treatment product based on an aqueous blend of corrosion and scale inhibitors, scientifically formulated for the treatment and protection of open cooling water circuits. Accepta 0016 is specifically formulated for use in corrosive waters with low to medium natural hardness. Accepta 0016’s scale inhibitor properties enable this cooling water product to maintain up to 1,000ppm of hardness in solution dependant on the Langelier Saturation Index (LSI) of the system water. High-performance blend of corrosion and scale inhibitors designed for use in open cooling water circuits. Compatible with all other chemicals commonly used in water treatment. Accepta 0016 should be dosed proportional to the system make up to ensure a continuous reserve within the system water. The product can be dosed direct from the drum or pre diluted in a dosing tank.